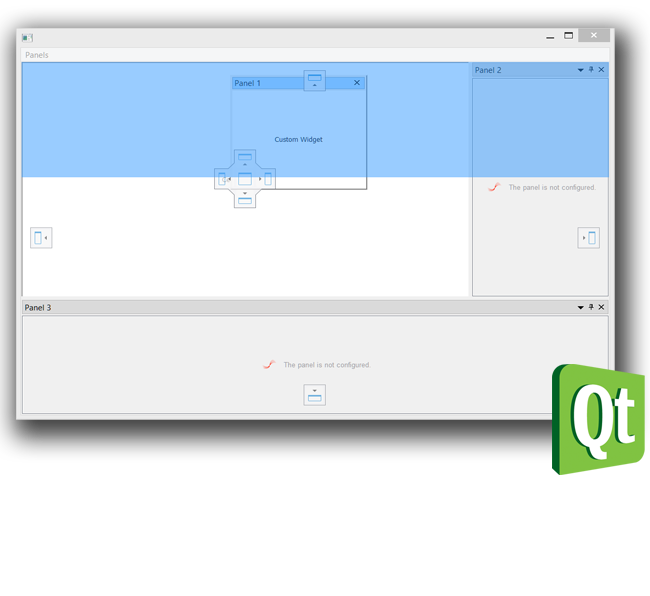 QtitanDocking Dock Panels and ToolBars for Digia Qt.C++ With the new docking component you can achieve familiar Visual Studio or MS-Office behavior for your application in Windows, Linux and MacOSX environments. Take a moment to evaluate QtitanDocking and let us know your thoughts. QtitanDataGrid 5 universal DB-Grid for Digia Qt.C++ New version of the grid for Qt has been released. Take a moment to evaluate QtitanDataGrid for your application. Set of third-party components for Digia Qt.C++ Try our Charts, DataGrid, Ribbon UI components for Digia Qt.C++ and let us know how yet we can help make your application more productive. Outsource Service & Custom Development If you need to solve a non-standard problem, we are ready to implement it for you at an affordable price and in the exactly specified time frame. 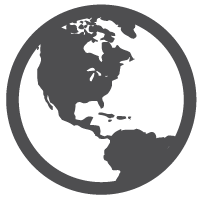 Possible to develop a completely stand-alone applications or individual components in Windows, Mac OS X or Linux. Contact us for further details. We at Developer Machines do our best to make a components more comfortable to use, reliable and fast. Components are designed by Highly Qualified Specialists in Delphi, C++, 3D and CAD with years of experience. If, for any reason, you are not satisfied with our components or products, not a problem, we provide no questions asked 45 days money-back guarantee. Please do not hesitate to send us your reviews, suggestions and feature requests. December 9, 2010 - QtitanDataGrid 1.1 Has Been Released! Developer Machines is happy to announce the immediate availability of QtitanDataGrid version 1.1, our data grid library for Qt framework. 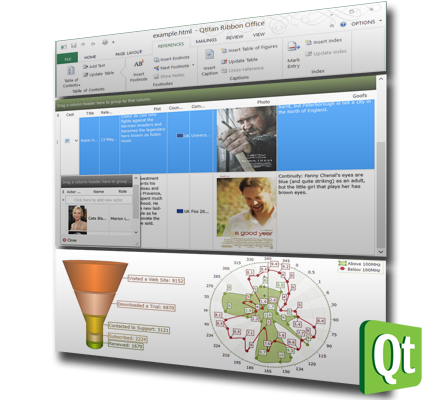 August 29, 2010 - QtitanMultimedia 1.1 Has Been Released! Developer Machines is happy to announce the immediate availability of Qtitan Multimedia 1.1 component, our library wich adds various multimedia technologies, such as Adobe Flash, Adobe Reader and Microsoft Silverlight, to applications designed using Nokia-Qt framework. August 29, 2010 - QtitanDataGrid 1.0 Has Been Released! Developer Machines is happy to announce the immediate availability of Qtitan DataGrid 1.0 component, our data grid library for Nokia-Qt for Windows and Linux developers. July 17, 2010 - Developer Machines proudly announces the release of Qtitan Component Pack v1 Beta2! July 17, 2010 - Developer Machines proudly announces the release of Qtitan Component Pack v1 Beta2, the company’s flagship product for the Nokia-Qt development platform. 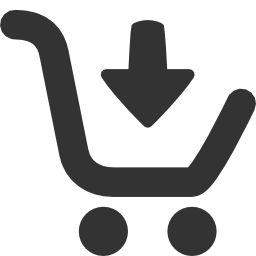 In this beta 2 release all critical bugs were fixed and implemented possibilities suggested by customers. In additional the Novel Moonlihgt support was added in Linux. July 17, 2010 - Article about integration Silverlight and Moonlight clips into Qt applications was added! July 8, 2010 - Qtitan have been accepted into the Qt Ambassador Program! June 7, 2010 - Developer Machines proudly announces the release of Qtitan Framework Beta! June 7, 2010 - Developer Machines proudly announces the release of Qtitan Framework Beta, the company’s flagship product for the Nokia-Qt development platform. The library offers an outstanding set of advanced features combined with ultra-fast data processing speed. It is intended for professional developers working with the Nokia-Qt platform and willing to create modern, fast and efficient cross-platform applications working with large and extra-large volumes of data and rich multimedia content in different formats. October 27, 2009 -Developer Machines is proud to announce the initial release of QtitanMultimedia! October 27, 2009 - Developer Machines is proud to announce the initial release of Qtitan Multimedia, a library that allows developers to easily incorporate rich multimedia content into their Qt applications through standard internet browser plug-ins. Support for Adobe Flash, Acrobat Reader and Microsoft Silverlight makes the library the efficient choice for Qt developers to use their favorite tools while taking advantage of the most widespread content standards. 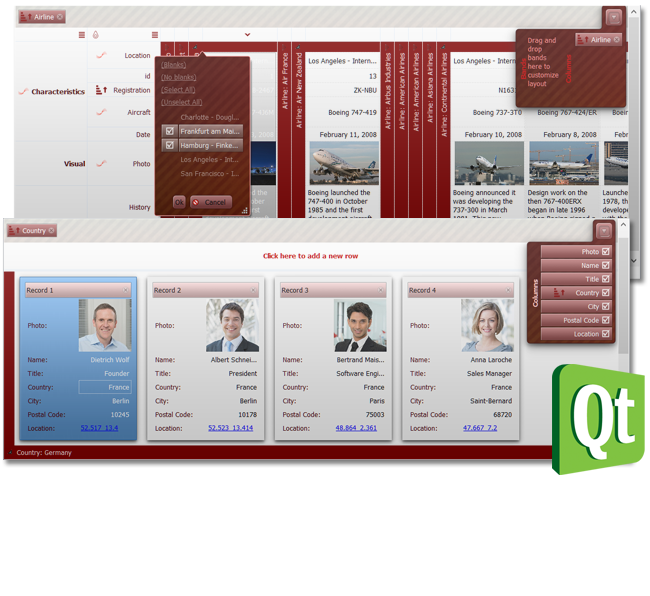 Qtitan Multimedia is just what programmers need to create Qt applications with big possibilities for multimedia!